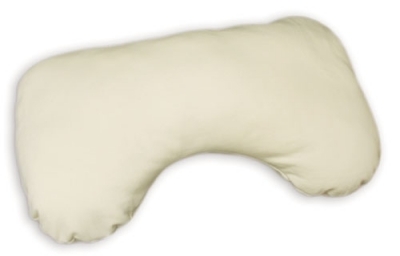 This nursing pillow is covered and hand-stuffed with pure American-grown organic cotton. The thoughtful design allows plenty of room to hold baby. It makes a wonderful lift to nurture or feed baby while caregiver is sitting.